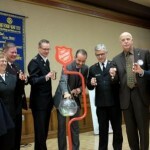 Windsor, ON – More than 250 community and business leaders, along with stakeholders and friends of The Salvation Army, joined together with the Rotary Club of Windsor (1918) for the first Hope in the City Luncheon on Monday, November 23, 2015. 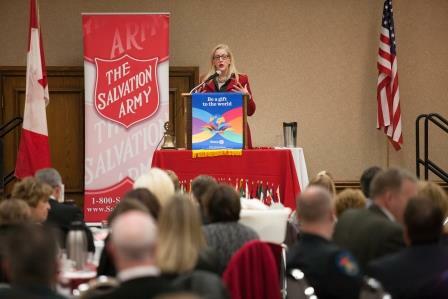 Held at the Caboto Club, the Hope in the City Luncheon, provided an opportunity for attendees to network with like-minded leaders, to learn about the support opportunities available and how they can collaborate with The Salvation Army in bringing vital services to people in need in Windsor and area. 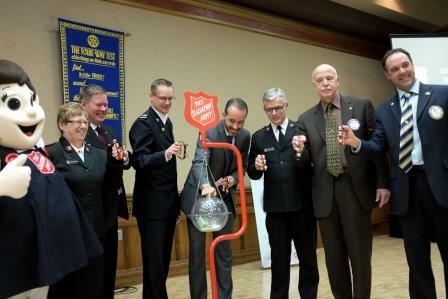 Rotary President Michael Drake welcomed those in attendance and commented on the ongoing relationship the club has with The Salvation Army. 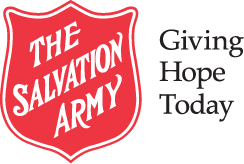 Emceed by Jim Crichton, Senior News Anchor at CTV Windsor and Advisory Board Member, Hope in the City also marked the official launch of the 2015 Christmas Kettle Campaign. In addition, the Hope in the City Luncheon provided an opportunity to recognize four members of the Windsor Advisory Board who were presented with Lifetime Member certificates by Divisional Commander, Major Morris Vincent. 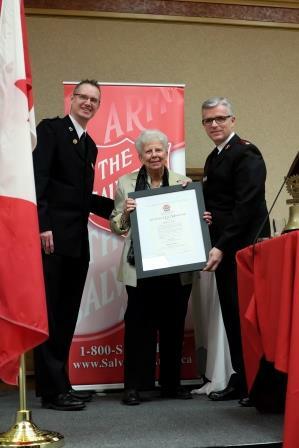 Margaret Ann Prince, Madelon Kidd, Milton Grant and William Howitt have served with the Windsor board for many years and were thanked for their service and ongoing commitment to The Salvation Army. 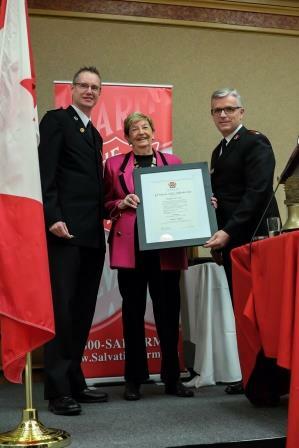 The Divisional Commander also inducted three new members of the Windsor board, Colleen Mitchell, Matt Dunlop and Bill Marra. Each brings unique experiences and talents which will serve the Army well for years to come. 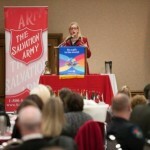 In her inspiring keynote address, “Giving Back Makes Good Business Sense”, Jody Steinhauer shared how her own success of growing the Bargains Group from her apartment to a multi-million-dollar-a-year business, would not have been possible had she not made a conscious effort to give back to the community. She encouraged those in attendance to find ways to give back and to make it a part of the culture of the workplace. 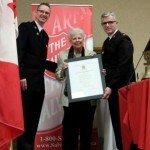 Margaret Ann Prince (centre) receiving Lifetime Membership. 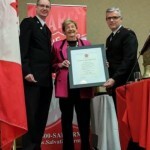 Madelon Kidd (centre) receiving Lifetime Membership. Milton Grant (centre) receiving Lifetime Membership. William Howitt (centre) receiving Lifetime Membership.